Alexandria Ocasio-Cortez, Elizabeth Warren and Bernie Sanders each have plans to massively raise taxes on the wealthy. But there’s no need to choose—we should enact them all. An incredible thing has happened in 2019: We’re actually talking seriously about taxing the rich. And the debate is not over whether to do it, but how. Within the month of January, Rep. Alexandria Ocasio-Cortez and Sens. Elizabeth Warren and Bernie Sanders proposed separate measures that would, respectively, increase top marginal tax rates on income, levy a direct tax on wealth and interrupt intergenerational transfers of fortunes. It’s important to note that these policies are not in any way mutually exclusive: When it comes to billionaires, we can tax them when they’re alive, and we can tax them when they’re dead! 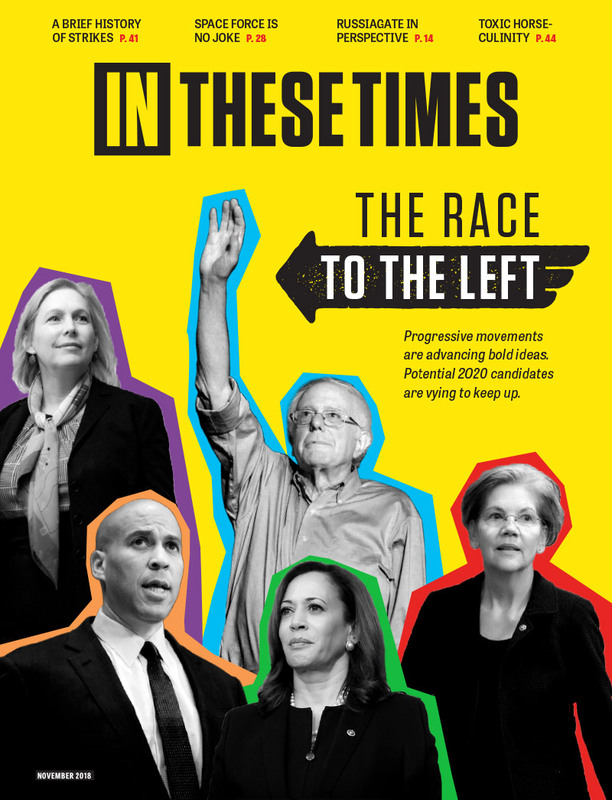 But given that these proposals are already framing the terms of debate for the 2020 presidential contest, we can still ask which approach goes the furthest in abating inequality and removing the stranglehold of billionaires on our politics. And, it turns out, there are a few different ways to answer that question. Warren’s wealth tax would raise the most money—around $2.75 trillion over the next decade, according to the calculations of experts backing her proposal. But the amount of money added to public coffers isn’t the only factor in evaluating a progressive taxation plan. Somewhat counter-intuitively, taxes on the super-rich should bring in less revenue over time because they are having a broader effect on reducing inequality and therefore the amount of concentrated wealth or income to be taxed. That’s where two other sets of political considerations come in: How a plan to tax the rich will promote other beneficial effects, like shoring up worker bargaining power, and how it will send a political message and advance a broader working-class agenda. There are of course also plenty of important details that go into how well a progressive tax plan actually works—how effectively it closes loopholes, how it identifies and counts assets to be taxed, etc. But those are highly technical in nature, and not as easily understood by the general public. So here, I’m going to consider the political messages that, to date, seem best conveyed through each approach. Warren’s “ultra-millionaire” tax is sweeping in its ambition. It’s also the most radical, in the sense that we haven’t done it before. Unlike higher income and estate taxes—which were in effect for decades—a wealth tax has primarily been the stuff of progressive economists’ fantasies. What’s more, one of the most popular proposals to date—put forward in a paper by the Institute for Policy Studies—has been a 1 percent tax on the wealthiest 0.1 percent, or those with assets of over $20 million. Warren’s proposal would tax fewer people—those with more than $50 million in assets, an estimated 75,000 families—but she would bump up the rate to 2 percent. Households with more than $1 billion in assets would get a 3 percent rate. Warren’s proposal is extremely popular. A YouGov poll funded by Data For Progress found 61 percent overall support, including 76 percent support among Democrats and even a plurality of support among Republicans, 44 percent to 37 percent. It’s also earning accolades from center-left economists like Paul Krugman. That doesn’t mean it’s not shaking up the status quo. At the heart of the policy is a legal argument that it’s not unconstitutional to tax wealth, and a moral and political argument that, in fact, we need to. And while Warren has floated some potential programs that her wealth tax could pay for—universal childcare, student loan relief, millions of units of new affordable housing—campaigning on a wealth tax divorced from a specific political program could make it harder to mobilize people by laying out clear stakes. Among other political benefits, there’s evidence that higher income tax rates would change the behavioral calculus of owners and CEOs by curbing their bargaining for ever-higher earnings. If the last million dollars someone makes is going to go mostly to taxes anyway, there’s less incentive to fight for it by, for example, keeping employee’s pay stagnant. Along these lines, the Institute for Policy Studies has proposed linking top income tax rates to the minimum wage. Moreover, while wealth inequality is even greater than income inequality, the latter contributes to the former over time. The Center for Economic Progress’ Eileen Appelbaum summarized this relationship at Wednesday’s forum. The top earners can’t spend their incomes on themselves, so they use them to buy more assets and continue to get wealthier. “Unless we do something along the lines of what AOC has suggested, this situation will continue,” said Appelbaum. Beyond these slightly more technical considerations, AOC’s framing has made the stakes crystal clear: If we want to save the planet, we can’t afford not to tax the rich. Again, Sanders’ plan would probably raise less revenue than Warren’s: About $315 billion over a decade. But by taking aim at the ultra-rich as a class, it also singles out the kind of dynastic wealth that allows a few families to wreak havoc on our political system. Just three families with multi-generational wealth—the Waltons, the Kochs, and the Mars—have a combined fortune of $343 billion, more than 3.5 million times the median wealth of U.S. families. And they use that wealth to fund all manner of right-wing policies. The Right has steadily chipped away at the effectiveness of our existing estate tax for decades, painting it as a “death tax” on families who just lost loved ones. Admittedly, this plan would require billionaires to die before it raises significant revenue—an estimated $2.2 trillion. Does that mean it's vulnerable to the “death tax” rhetoric? Maybe. But in a delightfully petty move, the Sanders plan actually lists out how much money the rest of us would get when specific people like Jeff Bezos, Bill Gates and Warren Buffet depart this Earth—$101 billion, $74 billion and $64 billion, respectively. Taken alongside Sanders’ broader efforts to target Bezos and the Waltons over worker pay, this plan sends a clear message: Billionaires are bad, and the sooner they and their unearned influence kick the solid-gold bucket, the better for the rest of us. And that message is gaining steam. To achieve left priorities like a Green New Deal, Medicare for All and universal childcare, we probably need some version of all three of these types of taxes. But it’s important to evaluate not just how much of the price tag new progressive taxes would cover, but how they would transform the balance of power, invigorate our politics and mobilize Americans around achieving bold, transformative policies.
" the median black family's total wealth is what? about $5,000? " fuster, Oh WTH, lets continue this nonsense - Some segments of our society are basically bankrupt - like the median black family's total wealth is what? about $5,000? Anyway, how can all Americans deal with a slow-down in our economy which is guaranteed to come with the dollar losing its status as the World's reserve currency when under the best of conditions some are barely holding on. yup, the crash and then the splats were rather clear bits of augury. the still-recent collapse of the housing market and then the world-wide recession were similar signs, but we had learned a little bit, and avoided such dire consequences this time around. fuster, you baited me into it - what was the first sign of the Depression in 1929 ? - bankers trying to fly out of fifth floor windows? Hoover damned sure couldn't see it - all he could see was "prosperity right around the corner". Anne, it hasn't yet ended at all for most of the French aristocracy.
" But the French nobility - la noblesse - is still very much alive. In fact, in sheer numbers there may be more nobles today than there were before the Revolution. "We reckon there are 4,000 families today that can call themselves noble. True, at the Revolution there were 12,000 families. But today families are much broader. So overall we reckon there are between 50- and 100,000 nobles in France today - roughly the same as in the 1780s." So says a man who should know - Jacques de Crussel, the Duc d'Uzes. "The point," he goes on, "is that though many aristocrats disappeared in the revolution, afterwards in the 19th Century there were five kings or emperors of France - each of whom created his own nobility. So we stocked up on numbers!" The Duc d'Uzes is president of a little-known body called the Association for Mutual Help of the French Nobility (ANF)." and yes, as of the present, it IS damn near impossible. rich people are not criminals simply because they're rich. you SHOULD have a problem with unjust oppression of the rich or the poor or the blacks or the Jews or the Muslims. fuster, This is the last word from me - "no one ever sees the depression coming". It is NOT a near impossibility, nor is it not out of the question. It's a matter of educating people and democratic governance. But of course, the billionaire overlords won't let that happen, until history forces those changes. Didn't end too well for the French aristocrats, did it? Not a claim, my friend, a fact. As for dereg, check out Ronnie Reagan, 1980, and check out a woman named Anne Buford--her son now appointed by the same deregulating Repub capitalists as her to a judgeship. She's an entertaining side show to the wholesale gutting of the EPA, and hey, check this out--she didn't LIE to Congress, she refused to turn over government documents! Isn't that hilarious--a government employee refusing to turn over government documents to the government! Those Republican capitalists are a laugh a minute. Tax 'em and regulate the hell out of them or cut their heads off and be done with it before we all die from their idiocy and mendacity. I don't have any problem with the idea of IRS agents "oppressing" rich people, why do you? Incentivizing them to go after, say, the hundreds of millions owed by the Trumps, for example and putting the recovered loot into, say, teachers salaries where it belongs--who would be against that? And think of the buying power of the agents who helped us out--they could open businesses and create jobs. What's the downside of the looters feeling the weight of corruption and oppression for a change? I don't see it. "cuts" for government tax collectors is a terrible idea, Marty. it actually is the traditional practice in many societies around the globe for many centuries. it never failed to cause oppression and massive corruption. we have some bit of it now in RICO cases where police agencies get to keep monies and properties seized from people that they arrest on racketeering cases.... and it's contributed greatly to corruption and injustice. your idea sounds good at first blush, but if you look into it, you'll find that you need to think of a better idea.
" Unregulated capitalism is incompatible with democracy "
that claim might well have some merit. however, it doesn't have a damned thing to do with our society. we have endless regulations concerning the economic activity of the nation. The IRS doesn't have any problem going after working people. Why should they have a problem collecting from rich people--especially when they have personal incentive--he he let's give IRS agents a cut of what they collect. Spread the wealth, restore democracy! You got it. Tax the rich and destroy their wealth. They have too much; too many have too little. Unregulated capitalism is incompatible with democracy. 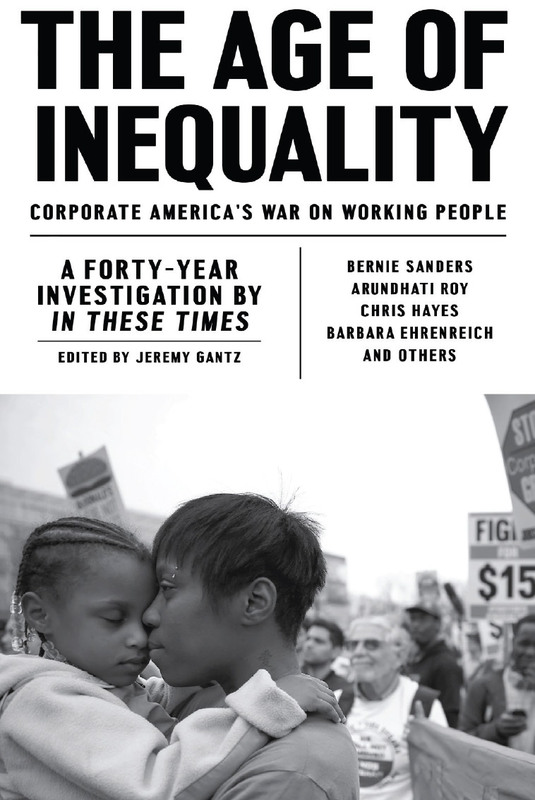 Economic inequality undermines social equality. The government favored by the wealthy is fascism. Thinking people don't want to be slaves to the rich; they want democracy. Tax the rich and bring back democracy. Absolutely! No more excuses--I would vote for taxing entities making over $1B 90%. It's called restructuring society towards something that works for everybody. The days of white male capitalist monopolies by and for white male capitalists are over. actually, we didn't avoid a recession. we had one. but my point is that, as unsavory as the mechanics might turn out to be, we know how to avoid repeating the depths of the Great Depression and reaching the point where people are bereft of hope and without food. we never came to within a mile of the pre-revolutionary conditions of the Depression. as for graveyards, you and I will join grandpa in death long before seeing the end of the dollar and the collapse of this sociopolitical order. Fuster, We avoided a recession in 2008 by bailing out the bankrupt bankers. The Fed Reserve opened up the flood gates and tried to drown Wall Street in a tsunami of cash. Wall Street took to that flooding like ducks. And what did the geniuses do with all of that cash - invest in production? - don't be a sap, they bought their own and each other's stocks; thereby, boosting their own fortunes to the Moon. But the cash tsunami will soon be followed by a s--t tsunami. Why? - arrogance in thinking that we can sanction half of the countries of the World and not have them strive to kick the crap out of our dollar run hegemony. And when the dollar is not needed anymore, it won't be wanted anymore. Keep whistling, pal, you're passing a graveyard - a graveyard for the dollar. A graveyard for low taxes on the rich; and a graveyard for a gold-plated military used to only having to fight bronze age peasants armed with old smooth-bore rifles. America's only hope for salvation - peace abroad and socialism at home. no, you don't need the will, you need the House, the Senate and, failings 2/3rds of both, you need the presidency as well. we're not gonna have another Great Depression, richard....we avoided it in 2008 and it ain't gonna come around again any time soon. Yes Sir - it is as simple as sunshine - all you need is the will. Apropos to that - no more f---ing Clintons, no more f---ing Obamas. Those Judas goats led the working class into the abattoirs of Wall Street just to make themselves rich. How long did it take FDR to institute the New Deal - if I remember right, it took about 100 days? The difference - the common people were hurting then so they had the will to tell the "economic royalists" to go take a flying leap. Just wait, the dollar is about to do its dying swan act, unemployment will hit 20%, and the working class will have their VISA cards all cancelled. They will run to the voting lines to cast a vote for another FDR. gee, is it really all that simple? don't all of those things require passing new laws? except for you waving, of course. Should be no problem to get rid of all of the special provisions in the tax code that allow special interests to skate - helluva lot easier to use the eraser end of a pencil than the lead end. And as far as having tax evaders leave the USA, I'll be on the tarmac waving Bye-Bye. And if we are so quick to sanction the funds of others, we can also just say, "you can leave but your stolen money stays". indeed, taxes for the rich are too low. but it's less the tax rates than the labyrinthine tax code that offers a zillion dodgy ways to avoid paying the specified rates. Buddy - face it - the rich have had ruinously (for the country) low taxes ever since the Horseshit Cowboy rode in from Hollywood. Life is a revolving wheel and for the next 40 years, taxes are going anything but too low. Ride it out, pal - 40 years from now there will be another cycle of low taxes. .... until they read shht about "tax the hell out of the rich" and realize that some ashholes are hoping to use taxes as a weapon against them. “The power to tax is the power to destroy,” wrote John Marshall, memorably, for a unanimous Court in McCulloch v. Maryland, 200 years ago. My advice to the rich trying to geographically dodge taxes - you get what you pay for. Any entity that will leave your wealth alone, probably won't protect your wealth from others who will go after it more crudely than the IRS ever would. Taxes are the price we pay for civilization - the kind of civilization that provides for police to prevent someone from just sticking a pistol in your nose and taking what you have. And taxes pay for things you never think of like a public health system that fights epidemics of disease which could put you in a grave long before socialism ever will. So go ahead, John Galt, find yourself a haven free from taxes, just make sure that you and your family are truly capable of taking care of yourselves from right out of the cradle - and you better be "the baddest cat in the jungle"
a total re-vamp of the tax code is a near impossibility, politically. why in hell would they sign any such agreement? As a working-class American, I can't get away with tax loopholes and tax dodges available only to the uber-rich. Closing loopholes and entering into international agreements with other countries to keep billionaires from fleeing with their money will help. Hire more IRS agents to get the job done. Better that the rich pay more taxes, unless they prefer to be at the receiving end of the 21st-Century version of Madame Guillotine. easy to call for "taxes the hell" out of the rich.